Are you on the look-out for an accommodation for you and your loved ones in London? This is great news as the capital city is filled with accessible options. Some have elegant interior designs. Others are located in Central London areas. Younger people or those with a smaller budget can choose hostels. Families have at disposal many accommodations with offers for children. As you can see, there are a lot of options. You just have to choose the hotel that is more appropriate to our needs and tastes. 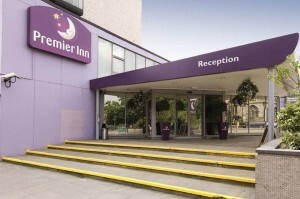 An example of a popular accommodation is Premier Inn London Putney Bridge Hotel. Their prices are among the most competitive in all London. However, do not get the impression that this is equivalent with poor customer service. The offered facilities are modern and made to guarantee a relaxing staying. Air conditioning, parking, LCD TV screens, family facilities, comfortable beds, spacious rooms and nearby means of transport are just some of the benefits awaiting for you. Among the touristic attractions situated at only a few minute walk from the hotel are the following: Fulham Palace Gardens and London Wetlands Centre. Choose fun activities after lunch and try strolling around the River Thames. Take the nearest Tube and head on to the British Gallery or visit the Buckingham Palace. There is no limit to what you can do as a traveler in London. In order to get a Luton Airport to Premier Inn London Putney Bridge Hotel Transfer by rail there are three main options. First of all, you could take the train from Luton (every 30 minutes) via King’s Cross St Pancras (every 5 minutes) and Earl’s Court Underground. This journey will take about 1 hour and 8 minutes in total. The second option is a bus from Luton Airport Bus Station (line 757 – every 30 minutes) via Marble Arch (line 414 – every 10 minutes). This journey lasts about 1 hour and 48 minutes. The last option involves a bus from Luton Airport Bus Station (line 888 – every 10 minutes) via Luton Airport Parkway Station (every 20 minutes) and Marylebone, York Street (line 74 – every 10 minutes). It will take a total of 1 hour and 58 minutes of your time. A Luton Airport to Premier Inn London Putney Bridge Hotel Transfer by car can be done by taking the M1 motorway. Luton Airport is at a 37.0 miles distance from Premier Inn London Putney Bridge Hotel. This journey will take about 55 minutes, without including traffic. A Luton Airport to Premier Inn London Putney Bridge Transfer with 247 Luton Airport Transfer is going to take about 1 hour and 26 minutes, including rush hour traffic. The price for a Luton Airport to Premier Inn London Putney Bridge Transfer starts from 56 GBP.